Welcome to our December issue. Our News page includes reports of exciting exhibitions in Germany, Switzerland and London as well as offering exclusive discounts on recently published CVMA volumes. The Panel of the Month focuses on the output of a little-known fourteenth-century workshop in Cheshire and how its work can be found and seen in other churches in the north-west of England. 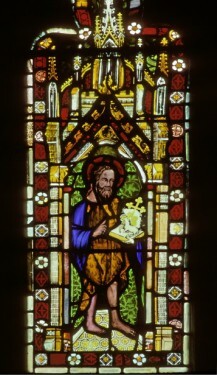 Our main Feature by Dr Alexandra Buckle, Lecturer in Music, St Anne’s College and St Hilda’s College, Oxford, explores depictions of medieval music and angel musicians in strained glass. Finally, on behalf of the entire Vidimus team, I hope you have a great Christmas and a successful New Year. Join us again in 2011!